Are you looking for an easy way to fill out your uncontested divorce forms? Tired of searching and looking for easy to follow step-by-step instructions and filing procedures? Our premium Florida divorce forms packets, include all the forms you need in PDF fillable format with step by step filing instructions to successfully complete an uncontested divorce. So, What's Included in Our PDF Forms Packet? You will both attend the Final Hearing and are willing to give up the right to trial and appeal. 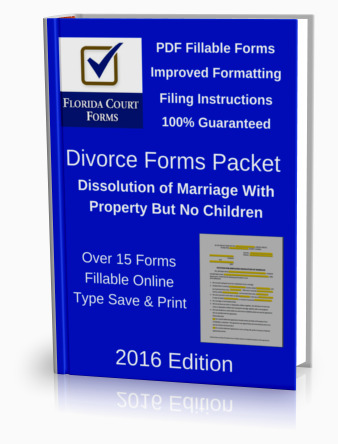 This divorce forms packet is suitable for divorcing parties who are in agreement with all issues (uncontested) and have no children or property. Over 10 PDF fillable forms including all required forms and procedural forms. This divorce forms packet is suitable for divorcing parties who are in agreement with all issues (uncontested) and have dependent or minor children. Over 20 PDF fillable forms including all required forms and procedural forms.